Peggy's livingroom renovation, originally uploaded by Wonderlane. 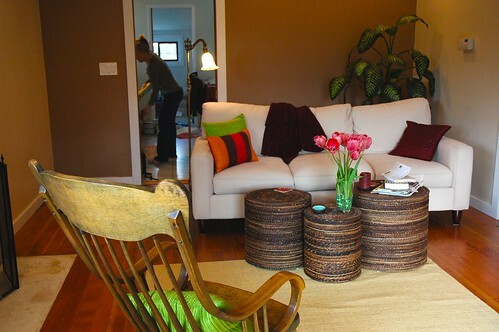 Interior design by Linda Lane with client in the North Seattle area. Still in realization phase, fireplace hearth (on the left) will be black slate. Owner's existing traditional rocker (very comfortable) is senn in foreground.